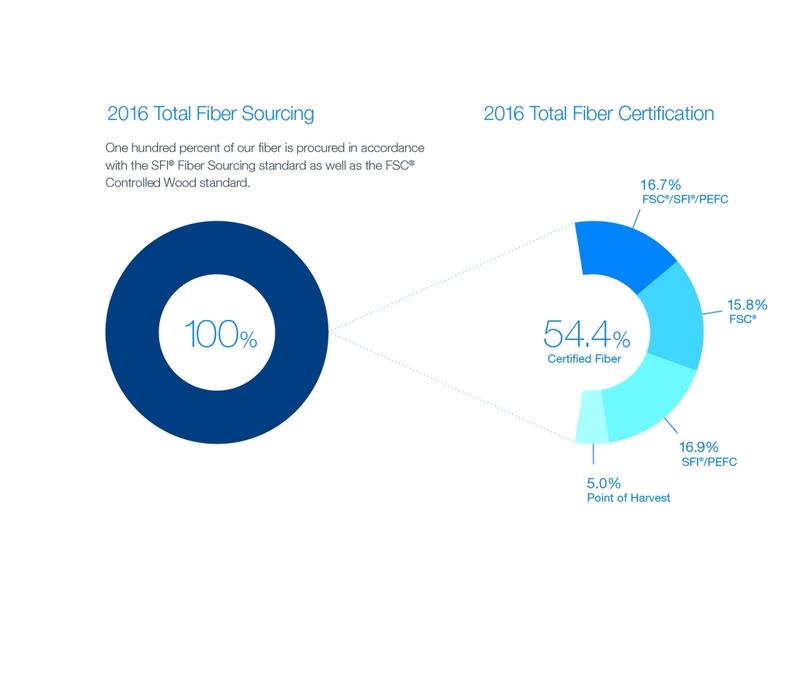 One hundred percent of our fiber is procured in accordance with the SFI® Fiber Sourcing standard as well as the FSC® Controlled Wood standard. These third-party programs provide assurance that wood-based products have been procured from well-managed forests and are legally harvested. While Sappi does not own any forestland in North America, our foresters provide active forest management services for landowners within our procurement zones. We continue to support and recognize the efforts of multiple third-party certification programs, including the Forest Stewardship Council®, the Sustainable Forestry Initiative®, the Programme for the Endorsement of Forest Certification (PEFC) and the American Tree Farm System, a PEFC-endorsed certification program. The Point of Harvest certified fiber refers to wood fiber harvested from lands not otherwise certified by one of the forest management standards but is harvested by logging professionals who are trained and certified in practices designed to conserve forestland. All recycled fiber (RF) is sourced from producers within North America and the deinked pulp is processed chlorine-free. All kraft pulp is elemental chlorine-free (ECF). The SFI® and FSC® certification programs have modified their standards to include post-industrial fiber (PIF) as part of their claim and labeling schemes. In considering this change, FSC® published a comprehensive study where they concluded that restricting claims to only post-consumer fiber was creating an uneven playing field in global markets and was actually distorting consumers’ perception of the value of recycled fiber. 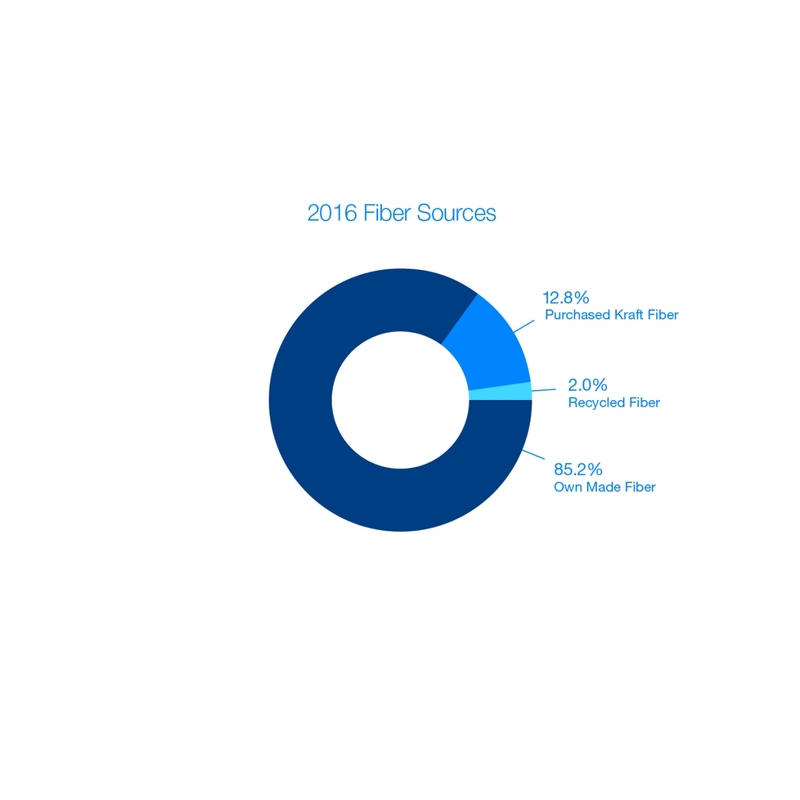 In October of 2016, we began utilizing PIF as part of the 10 percent recycled content in Flo sheets.